Have you ever had doubts about how a word is pronounced correctly in Spanish? This application is the solution!. 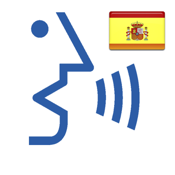 Spanish Pronunciation Pro lets you write the word and makes audio so you can hear the correct pronunciation of the word. It's simple, fast and effective. You can write words or short phrases and hear the correct pronunciation. It's great! It is a very useful tool that everyone should have.